Happy Friday everyone! 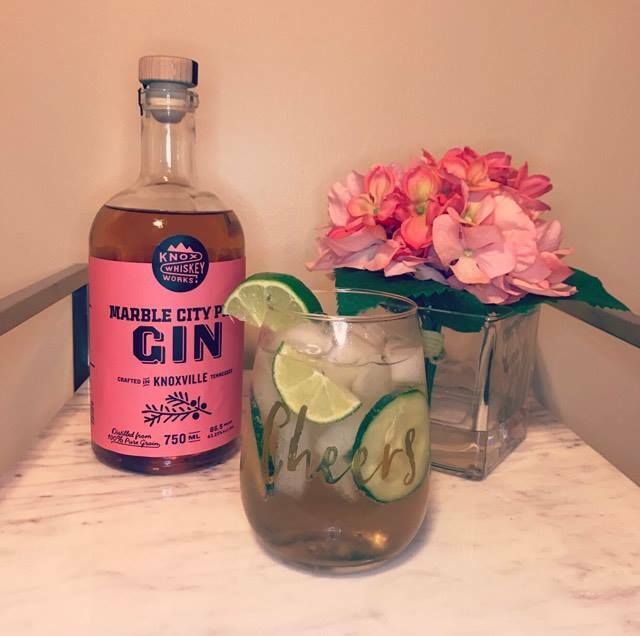 Just wanted to do a simple blog post for you guys on this awesome gin recipe I tried today using Knox Whiskey Works' Marble City Pink Gin. Its super refreshing and perfect for spring and summer. Making it is so simple. All you need are; sliced cucumbers, lime wedges, ginger ale, and gin. Combine all four ingredients and squeeze lime to taste. In mine I only squeezed one lime wedge. Garnish with lime and cucumber on the rim of the glass when serving to friends.